Hand-painted to stunning effect, the Ridley Lamp from the Porta Romana lighting collection is available in three decorative glazes. With a classic shape and earthy form, the Ridley Lamp has a wonderfully fresh aesthetic. Choose from Ink Blot, Spacedust or Stone Speckle to suit your scheme. Or why not combine the three in a neutral interior scheme that plays with natural textures and soft colourways? 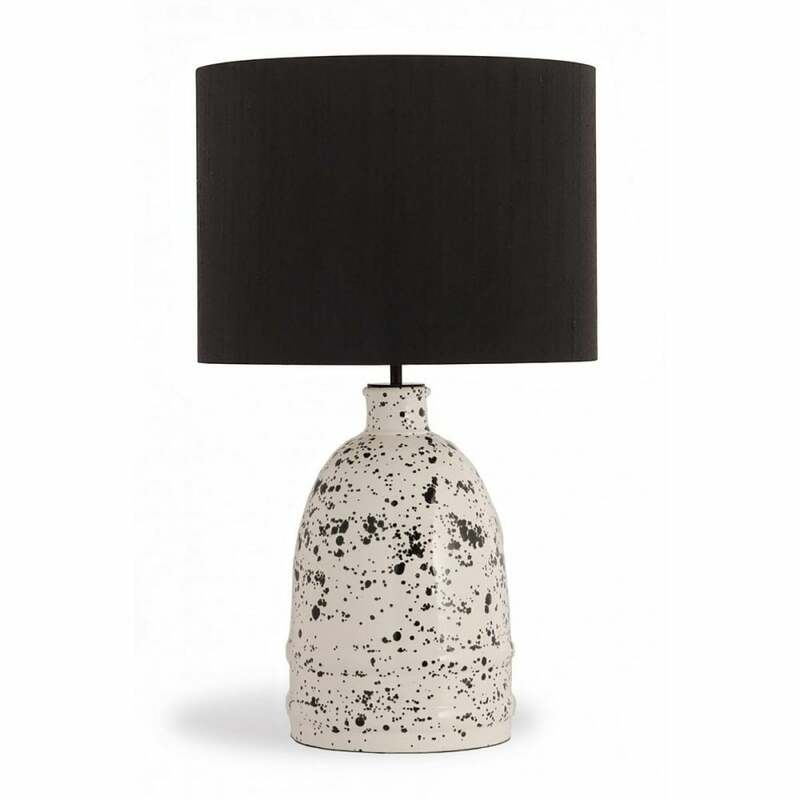 The first finish has a playful finish with random paint flecks of black dots and blemishes. Spacedust features a sophisticated milky grey base with a navy and white speckle overlay. Stone Speckle is hand-painted in Porta Romana’s workshop using a layering technique that builds up to form a complex finish. The Ridley Lamp is also suitable for rodding and bolting for use on yachts. Get in touch with our team for more information.